Our goal is to always be at the forefront of in home care excellence. To better serve our clients across our markets. Our journey of providing exceptional care for over the past ten years has lead us to this opportunity and we couldn’t be more excited. 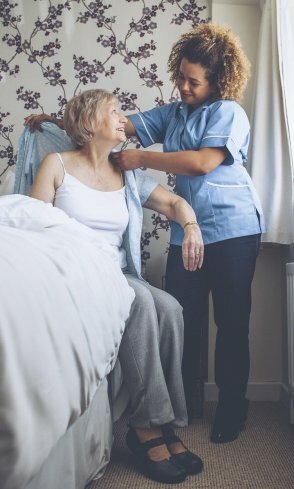 All Valley Home Care is committed to providing the best home care at the best value, the best quality caregivers and the best customer service. We are committed to staying a viable and necessary option for home care; not providing the same old home care you have become accustomed to from other home care companies. Over the last three decades we have raised the bar in the home care industry when it comes to home care and we are proud of our Standards of Excellence.